Wow, you can sometimes get lost on these maps since there is a lot of backtracking… fortunately, there are usually shortcuts. I'm now up to the "unit" called "Big Gun", which means I've finished 6 levels out of 10 so far. Didn't play For Honor this week – had no friends to play with and wasn't keen on trying it by myself ☹. 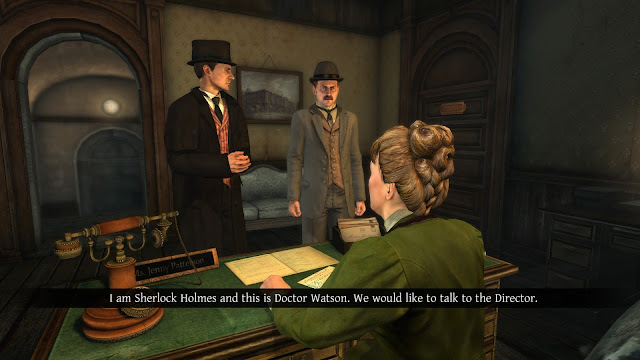 Since I finished Hero-U, I decided to revisit one of the other games that I had put on hold so I delved into a bit of Sherlock Homes. The voice acting and lip synching can be pretty poor in this game and I can't believe how gullible Watson is when he mistakes a German (with a thick accent mind you) for an English prison guard. Definite /facepalm moment there. Yay! I finally got past that mission that involved sneaking around and rescuing Assassins/crewmates. Although, it seems like I'm still not too welcome. I decided to spend time attacking forts this week and managed to capture Eleuthera and Dry Tortuga. Not sure what good that will do me but I think the waters are at least safer for pirates now. Yaaaarrrr!!! Choona is still deciding what I should tackle next on my Pile of Shame.